I will be showing two new works: Alphabetical Shopping, 2014 and Confetti Stack (a vertical stack of 18,180 paper confetti pieces) in the exhibition "Seymour" at the public art center CEAAC in Strasbourg, France. Also exhibiting are Erica Baum, Julien Crépieux, Moyra Davey, Joseph Grigely, Chitti Kasemkitvatana, Gareth Long, Benoît Maire, Benoît-Marie Moriceau, Antoinette Ohannessian, Bruno Persat, William Wegman and de Holden. 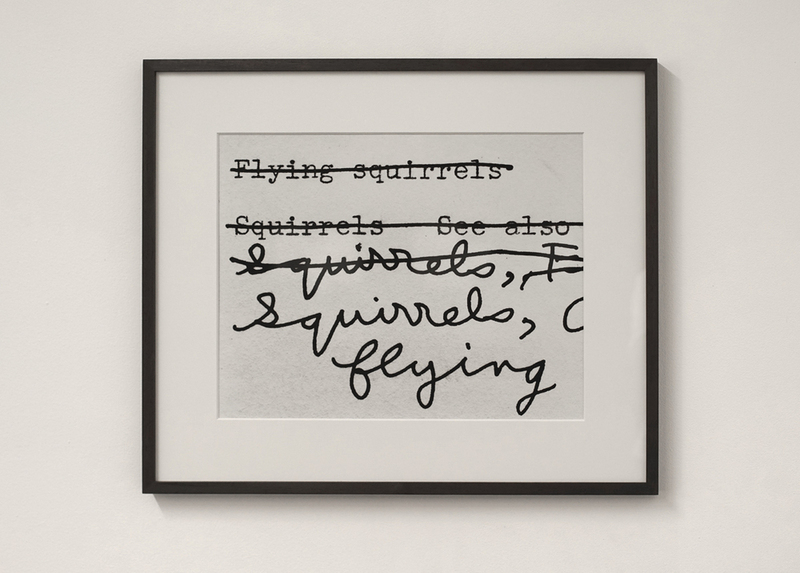 Seymour is the second in a trilogy of connected exhibitions titled after the names of fictional characters from literature, three characters of "ageless" children: Rose, Seymour and Ernesto, respectively imagined by Gertrude Stein, J.D. Salinger, Marguerite Duras and their readers. Despite, or perhaps thanks to, their young ages, these three characters define a relation to the world full of poetry, consternation, melancholy, humor, naivety sometimes but also sincerity, love, spirituality and permanent questioning of what we take for granted. Within these "portrait-exhibitions", we are trying to look at these three characters as points of departure, as a raw material to approach them not in a documentary way, nor to pay special attention to childhood in itself, but to consider them as "conceptual characters" to discuss the work of the invited artists. "Please accept from me this unpretentious bouquet of very early-blooming parentheses : (((())))." The images above show installation views of the whole show. My works Alphabetical Receipt and Confetti Stack are the first two depicted. Photos: R. Görgen.